Food Network UK chef Andy Bates and The Avenue British Diner team are happy to announce the return of their pop-up dinner series. 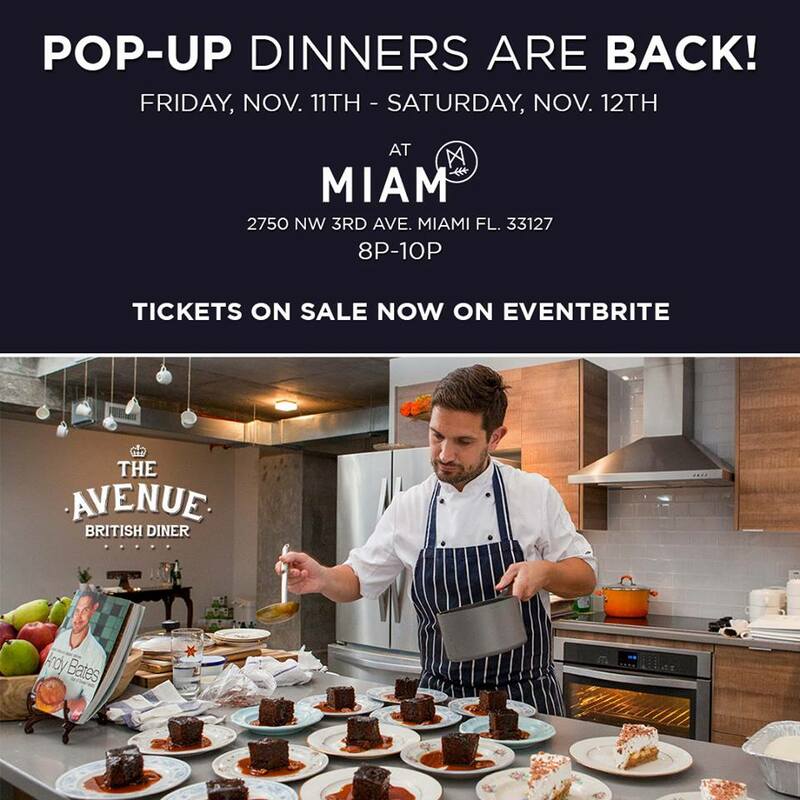 This 2-day-only “Pop-Up Diner” will come into existence after the usual closing time at Miam Cafe on Friday, November 11th and Saturday, November 12th from 8PM – 10PM. Guests will choose from 2 prix-fixe dinner menus, one “Best of British” traditional menu and one vegetarian menu (a first for The Avenue team).